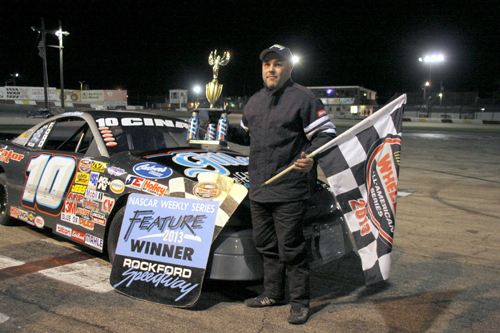 Photos Courtesy of Jim Ambruoso Jr.
Arlyn Roush, # 24 Woodstock, IL top the field of 20-plus cars and drivers for the second time this year to win the RoadRunner main event. 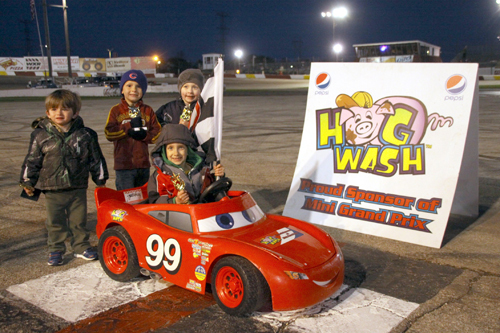 Kids enjoyed their own racing action as they raced down the front stretch to victory in the Hog Wash Mini Grand Prix feature. 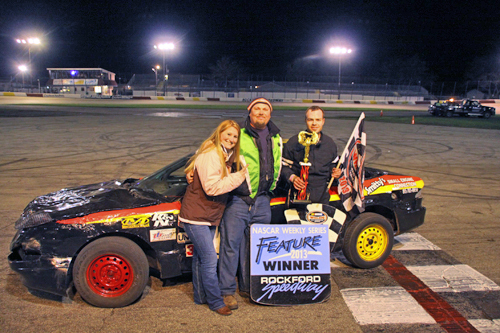 Jocelyn Davenport # 24-7 Rockford, IL coming from the seventh starting spot to win the Wing Women on Wheels main event. 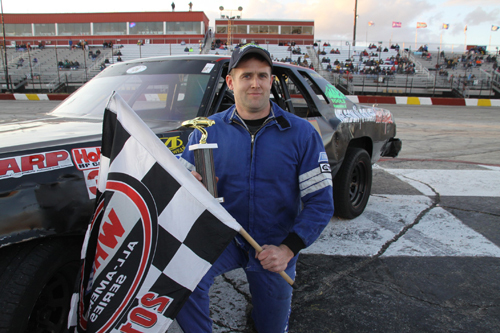 In the Miller Lite American Short Tracker feature, Nick Cina Jr # 10 Belvidere, IL took the trophy home as shown in this picture. 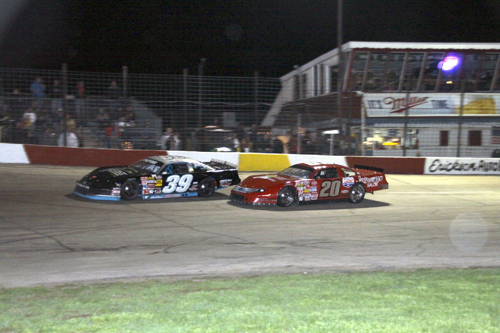 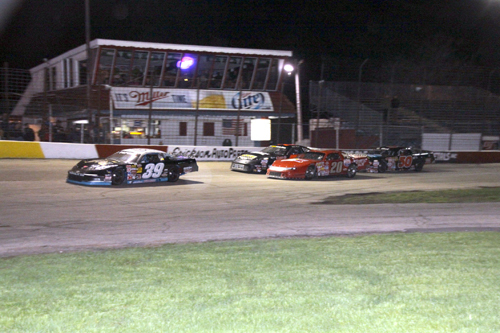 Alex Papini, # 39 Machesney Park, IL is shown driving into turn three as the leader of the NASCAR Late Model 30 laps feature. 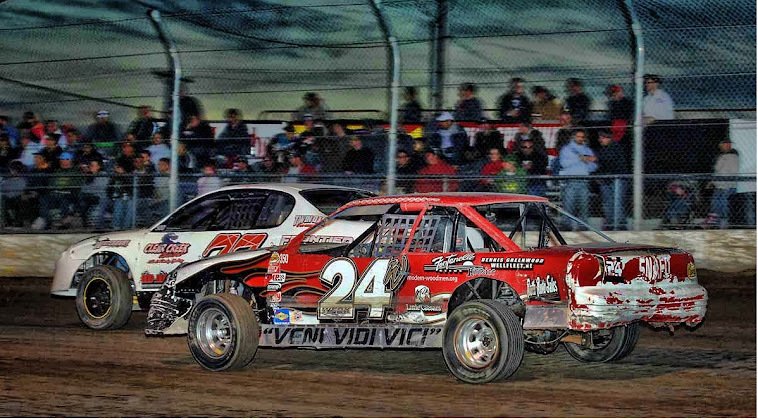 8486 Alex Papini # 39 and Steve Rubeck, Rockford, IL wrestle for the lead, but it was Papini who drove onto victory. 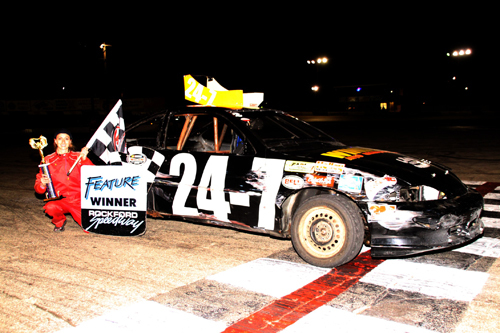 The Crap Scrapper Hornet division took to the track for the first time this season, and when 15 laps of madness came to an end, Jason Dull # 0 Machesney Park, IL was standing in victory lane.